Sacramento, CA – The Coalition Against Assisted Suicide announced today they are submitting signatures with elections officials to complete the referendum drive in opposition to legislation that allows physicians to help kill vulnerable Californians. The so-called “physician assisted suicide” law had failed to pass through the regular process, when it became clear the bill was dangerous to not only the elderly, the infirm, and the disabled, but also to low income Californians. Re-introduced as ABX2-15, the bill was passed by the Legislature in a special session for which the measure was not eligible to be considered. Shortly thereafter, Governor Brown signed it despite this illegality and then misstated the law in his signing statement. It will not take effect until 90 days after the special session concludes, sometime in 2016. The referendum process is a difficult and rarely attempted one as proponents have only 90 days to secure the approximately 366,000 signatures needed to qualify the measure to the ballot. The assisted suicide referendum had the added challenge of having to be conducted during the three biggest holiday periods of the year – Thanksgiving, Christmas and New Year’s. Referendum proponents thus had little time to mount their volunteer drive. SAN DIEGO (AP) — A California appeals court on Thursday rejected a lawsuit by three terminally ill patients that sought to clear the way for doctors to prescribe fatal medication to them and others like them who want the option of taking their lives. “We believe prescribing a lethal dose of drugs to a terminally ill patient with the knowledge the patient may use it to end his or her life goes beyond the mere giving of advice and encouragement and falls under the category of direct aiding and abetting,” Associate Justice Alex McDonald wrote. The ruling affirmed a lower court decision that dismissed the lawsuit. The lawsuit was brought against the state by Christy O’Donnell and two other terminally ill California residents. O’Donnell suffers from Stage IV cancer of the left lung and was given less than six months to live in May when the lawsuit was filed. The Governor of the most populous state in the United States has signed into law a bill permitting physician assisted suicide. The End of Life Options Act, which failed four times in committee, was signed by California Governor Jerry Brown on October 5. In his signing message, Brown made a number of gaffes, revealing he did not understand the content of the bill, the legal status of suicide or even the accumulation of evidence revealing abuse in other venues which have approved assisted suicide. The Act gives doctors the legal right to prescribe life-ending medication to those who request it, under certain ostensibly proscribed circumstances. Not so. Suicide is not a crime in the State of California. 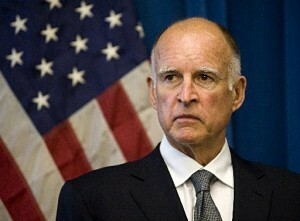 As the former head of the California Department of Justice, one might think Brown would be aware of this. Equally, Brown’s signing message fails to take into account the state of palliative care, which has rendered the “prolonged and excruciating pain” he references so movingly to be largely moot. “This is the biggest victory for the death-with-dignity movement since Oregon passed the nation’s first law two decades ago,” said Compassion & Choices President Barbara Coombs Lee. In addition, concerns about conflict of interest have plagued circumstances surrounding assisted suicide. Those who stand to profit (potentially through inheritance) from an elder’s death are permitted, in the California law, to actively participate in the assisted suicide process. Not only may they be present at the consumption of the lethal dose, but are also permitted to participate in helping sign up the parent for the lethal dose. This potential for the assisted suicide laws to enable murder is exacerbated by the mandated falsification of the death certificate, to reflect natural causes—rather than suicide– as the cause of death. Washington requires the issuance of a false death certificate, ostensibly to protect the privacy of the assisted suicide. However, such falsification only obscures the facts surrounding the death and may, in fact, end up covering up a murder. Assisted suicide is considered to produce a “slippery slope” towards outright euthanizing of those afflicted with illness or disabilities. Recent studies in countries which have had AS laws on the books, including the Netherlands and Belgium, indicate that those countries are tobogganing down that slope, warpspeed, as cases continue to emerge where individuals have been euthanized without their knowledge or consent as well as instances where psychiatric patients have been euthanized. The actual motivation behind Brown’s signing the AS law may not be as clear as his signing message indicates. California has already sullied itself in extensive cover ups of guardians murdering their wards (again, the profit motive emerges here). Those under adult guardianship constitute a similar demographic group as the target population for AS— elderly or disabled. This cover up has contaminated the response of the California DOJ to routine public records act requests. California Attorney General Kamala Harris has issued communications stating that the DOJ will not review or prosecute crimes committed by guardians under the mantle of guardianship proceedings, a continuity of the same policy extant under former AG Jerry Brown. There is no written law allowing the AG to ignore these crimes, and requests for the legal authority giving the AG the latitude to decline to prosecute these cases have resulted in a generalized refusal of the office of the California DOJ to reply or to adhere to their legal responsibilities in honoring public records act requests. Governor Brown has now given a wide portal for more vulnerable individuals to get off the entitlement rolls and make their way towards eternity. Given the history of California’s disinclination to enforce its own laws protecting this high- risk demographic group, we can hardly expect any prosecutions of doctors (or impatient would-be heirs) who trespass the minimal conditions provided in the End of Life Options Act and engage in what is otherwise known as murder. Janet C. Phelan, investigative journalist and human rights defender that has traveled pretty extensively over the Asian region, an author of a tell-all book EXILE, exclusively for the online magazine “New Eastern Outlook”. Many liberals and progressives with whom I agree on many questions support the Death with Dignity idea. They make two broad arguments. The first is an argument about liberty and autonomy: that the right to end one’s life at a time of one’s choosing is one of the most basic rights there is.Why should the government prohibit this? Why should it prevent terminally ill patients in great pain from seeking the assistance of their doctors when they know their life is nearing an end anyway? This leads to the second argument, from compassion.Why should a suffering, terminally-ill person be denied the right to end his or her own suffering? And why, given the costs of our health-care system, should a terminally-ill person be denied the right to end his or her life and thereby save both the medical system and family members from enormous, unnecessary medical costs? I should begin by acknowledging that my opposition to physician-assisted suicide goes “all the way down,” as the philosophers like to say. Because I view life as a gift and our own lives as implicated in the lives of others, I do not believe there is a right to kill oneself. This could be described (and, by some, dismissed) as a religious view, although I believe it is defensible on non-religious grounds. Put another way, I don’t think we have any more right to kill ourselves than we do to kill other people. I also know that most people probably disagree with me on this and might legitimately object to imposing this view of suicide through the force of law. And, in any event, my strongest objections to physician-assisted suicide do not rest on my philosophical inclinations, but on worries that many others, including liberals, might share: (1) the danger of muddling the role and the moral obligations of the doctor; (2) concern that pressure could be placed on terminally ill and disabled patients to kill themselves; and (3) a worry about how physician-assisted suicide would interact with the need to curb costs in our medical system. The Death with Dignity movement has done enormous good by calling attention to problems in our medical system. It often did a poor job of pain management and so emphasized medical concerns, in the narrowest sense, that it dehumanized the final months of life for many terminally ill patients. Because of pressure from the Death with Dignity movement, there have been marked improvements on both fronts. And we need to continue moving forward. On the issue of pain, I believe in the need to continue drawing a bright line between risking a patient’s death by prescribing heavy doses of pain medication, and killing a patient outright. Some might dismiss this distinction as forced, but it isn’t. In particular, making this distinction helps us avoid compromising the doctor’s role as a healer. There have also been great advances in hospice care, and we need to build on them. One of the maddening aspects of the fight over the Affordable Care Act was the explosive and false claim that the bill included “death panels.” Of course it didn’t. But the original bill did contain measures to encourage terminally ill patients to discuss treatment options with doctors, and to make carefully thought-through decisions as to whether they wanted to continue with heroic measures to stay alive, or to seek hospice care or other alternatives. It is a shame this part of the bill was removed and that the discussion was cut off by demagoguery. We need much more honest discussion about end of life care and the choices faced by those near the end of life face. We need to draw another bright line between removing artificial life support and death by physician assisted suicide. Here is where some conservatives who probably agree with my arguments went wrong on the Terri Schiavo case. In the case of removing support, we are acknowledging that medical advances have allowed us to trump nature and to keep someone alive long after they would otherwise have died. There is no moral obligation to keep a terminally ill patient alive through artificial, and particularly through heroic means. In the second case, we are taking active measures to kill. I am very uneasy about erasing this line, and it is why I hope Massachusetts voters will reject Question 2. If I would urge liberals to have second thoughts about physician-assisted suicide, I would ask conservatives who agree with me on this issue to ponder what a commitment to life means in relation to the health-care system as a whole. Those lacking health insurance coverage too often cannot seek medical help until it is too late. Surely the proper moral unease they feel about physician-assisted suicide should extend to a concern for providing regular access to health care for all Americans. Emergency rooms are not the answer. Vicky Kennedy argues that the alternative to physician-assisted suicide is to “expand palliative care, pain management, nursing care and hospice.” I think that is the right choice.